Nearly a week has passed since Philadelphia City Council approved a sugar-sweetened beverage tax that will raise an estimated $410 million in tax revenues to support various initiatives over the next five years. Is Philly's soda tax good for its fiscal health? Among the many reactions that poured in at the end of a heated three-month debate, a statement from Yael Lehmann, Executive Director of local nonprofit The Food Trust, calls particular attention to the importance of encouraging children to drink more water. "With the passing of this tax, Philadelphia is on the front lines in the battle against urban poverty and diet-related disease - and the rest of the nation is watching," Lehmann wrote. "Since we have their attention, it should be noted that the soda tax will serve as a part of a comprehensive approach to decrease the consumption of soda and increase access and consumption of water." Some observers of the soda tax debate in Philadelphia have argued that the Kenney administration's success is likely attributable to its focus on city programs and revenue rather than public health, as had been the case during failed efforts in San Francisco and New York City. Public health researchers and other organizations have certainly weighed in on the health implications of the law. In April, Harvard University's CHOICES Project estimated that the proposal would prevent 36,000 cases of obesity and save $197 million in healthcare costs by 2025. Drexel University doctoral candidate David Kern told PhillyVoice that soda was "dangerously" cheap, enabling a high risk of diabetes and obesity in the same low-income communities the proposal was so often painted as hurting the most. The tax, he predicted, would certainly reduce obesity in Philadelphia. Our own contributor Christie Mandia argued that opponents of the 1.5-cents-per-ounce tax (originally 3-cents-per-ounce) were sugarcoating the facts about soda consumption. She compared sugar in 2016 to tobacco in the early 2000s, recalling many who gave up smoking after the price of a pack jumped in several cities. As expected, the most discussed topics since last Thursday have been Kenney's plans for universal pre-K and forthcoming investments in community schools, parks and libraries. The tax goes into effect at the start of 2017, but the city is already seeking qualified pre-K partners to enroll an additional 2,000 three- and four-year-olds in pre-K by January. Lehmann's statement draws attention to several important footnotes of Kenney's soda tax victory. For example, City Council approved also approved a measure creating a tax credit of up to $2,000 for merchants who sell healthy beverages in their stores. That could further incentivize The Food Trust's Healthy Corner Store Initiative, which has worked since 2004 to increase healthy foods and beverages at more than 450 corner stores in Philadelphia. The city has already banned the sale of soda in school vending machines, but Lehmann suggests the passage of the soda tax is a perfect opportunity to revisit the "Drink Up Philly" campaign that launched in 2014 as a collaboration between the Philadelphia Water Department, the Sixers, corner store owners, and several nonprofits. 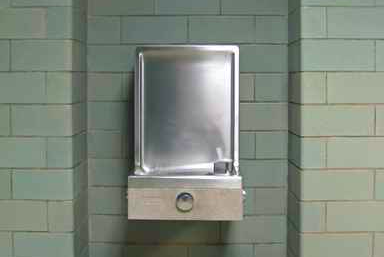 The School District of Philadelphia has pledged $1,000,000 to ensure at least three hydration stations per school, as wells plans to provide educational programs about the benefits of drinking water. In the fall, Lehmann notes, City Council will vote on legislation, introduced by Councilwoman Helen Gym, that would increase the number of working fountains to 1 per 100 students at schools and daycare centers. Philadelphia has a long history of collaboration between government, nonprofits, business and community partners to improve health and local economies," Lehmann concludes. "With such outstanding efforts, Philadelphia continues to be a national leader in public health. We would like to thank Mayor Kenney, City Council and all of the partner advocates who are working to dramatically change the lives of our children and make Philadelphia a healthier place for all."